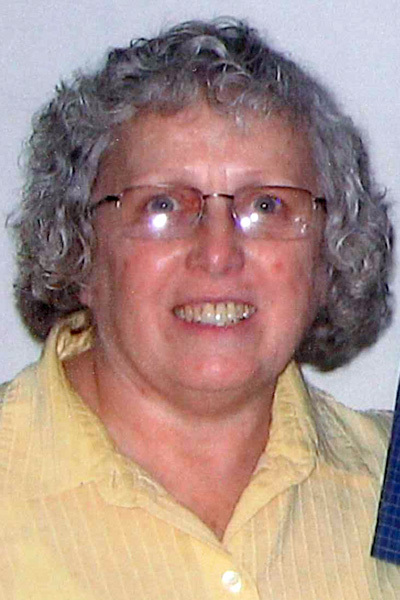 CHAMPION — Charlene Della Crissman, 72, formerly of Newton Falls, passed away peacefully into eternal rest on Monday, April 8, 2019, at the Windsor House in Champion, after a long battle with Alzheimer’s and dementia. Charlene was born Sept. 19, 1946, in Warren, a daughter of the late Harry Franklin and Lucille Della Moser Lettie. She worked for Packard Electric as a molder for 30 years, retiring in the late 1990’s. Charlene loved doing puzzles, visiting lighthouses, cheering on her son and daughter during sporting events, and finding obscure eateries with delicious foods. She also enjoyed collecting antique toys. Loving memories of Charlene’s laugh, hugs and kind heart will be carried on by her son, Spencer W. (Anna) Crissman of Toledo; her daughter, Lauren R. (Keith) Beeson of Brunswick, Md. ; her two grandsons; her brother, Lloyd (Anne) Lettie of Southington; brother-in-law, Gerald Combs of Newton Falls, and several nieces, nephews and great-nephews. Besides her parents, Charlene was preceded in death by her sisters, Gaye Combs and Darlene Lettie. Charlene never liked being the center of attention and per her wishes, there will be no services. Her ashes will be scattered at a later date. Charlene’s family wishes to thank the nurses and staff at Windsor House at Champion and Crossroads Hospice. Arrangements for Charlene are being provided by the Carl W. Hall Funeral Home, 533 North Park Ave., Warren. This obituary may be viewed and condolences can be sent to Charlene’s family by visiting www.carlwhall.com.